WITH THE accusation that Canada is "dumping lumber" on the United States, the Trump administration last week announced plans to impose tariffs of up to 24 percent on imports of Canadian softwood. US lumber companies complain that Canada unfairly subsidizes its lumber industry by letting Canadian loggers cut trees cheaply on government land, and then sell the wood at below-market prices in the United States. The United States imported more than $5 billion in softwood lumber from Canada in 2016, mostly for housing construction. "Things like this I don't regard as being a good neighbor," Commerce Secretary Wilbur Ross told reporters. President Trump declared that Canada's behavior is "a disgrace" and that "we can't let Canada or anybody else take advantage. . . . This is another NAFTA disaster, and we're not going to let it continue onward." The US-Canada lumber dispute is decades old; this eruption is only the most recent. But suppose for argument's sake that Canada does subsidize its timber industry, and that Canadian companies as a result are able to sell the softwood lumber prized by US homebuilders at a bargain price. How does it follow that Canada is being a bad neighbor, or that Americans are being unfairly taken advantage of? A more sensible conclusion is that the Canadian government is bestowing a valuable benefit on its neighbors to the south. Rational men and women don't punish individuals who do them a kindness. So why should we retaliate against a nation that does so? 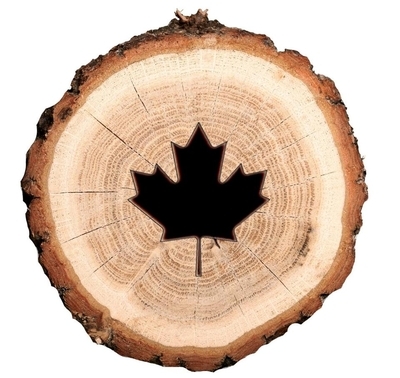 Suppose Canada, as a gesture of admiration for the people of the United States, decided to send us $5 billion worth of softwood lumber each year — for free. Would Trump, or any president, blast the Canadians for their perfidy? Of course not. The benefit to Americans of such a windfall would be obvious to everyone. Thanks to the Canadians' gift, our nation would be wealthier. The difference between getting Canadian wood for free and getting it at a discount is one of scale, not of kind. To the extent that Canada subsidizes its timber exports so Americans can buy it cheaply, it makes our nation wealthier. Trump should be beaming with pleasure and extolling Canada for its beneficence. It is understandable that US sawmills aren't happy about having to compete with rivals who can beat them on price. But that's true in every industry. In a thriving market, price competition should be a given. Pressure from competitors who can offer lower prices forces companies to compete in other ways — improving quality, providing better service, finding technological innovations, winning new markets. All that is good for business — and really good for consumers. Who benefits when prices for Canadian lumber — which accounts for 30 percent of the wood used to build US homes — are low? 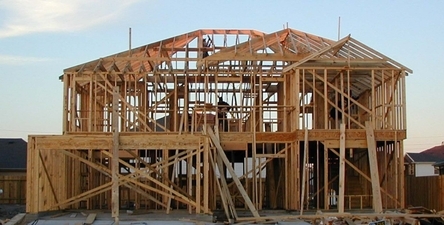 The millions of Americans employed in housing construction do. So do those who work in all the industries sustained by housing. So do the hundreds of thousands of US families that buy homes each year. Imposing a tariff on Canadian lumber will inflict higher costs on US homebuilders, destroying jobs and raising housing prices in the process. The administration's tariff on Canadian timber will hurt all those millions of workers and consumers. And it will indirectly hurt countless others, who will be made worse off as the negative effects of the tariff ripple through the economy. Trump says his protectionist tariff is meant to stop Canada from "taking advantage" of the United States. But that's nonsense. Canada forces nobody to buy its timber. Not a single plank or particle of wood pulp enters the United States unless an American purchaser has freely chosen to import it. The new tariff doesn't protect; it impairs. It prevents willing buyers and sellers from trading on terms that would have been agreeable to both. And it will inflict on US homebuilders a loss they don't deserve in order to reward US lumber companies with a jackpot they didn't earn. Far from making America great again, protectionism will only make it poorer.